Catalonia (Cataluña in Castilian Spanish, Catalonia in English) is located in the most north eastern part of Spain and is a land of spectacular contrasts. There is no lack of exciting destinations in Catalonia including the mountainous Pyrenees in the north, the rocky coastal coves along the Costa Brava and of course the vibrant city of Barcelona, one the worlds top tourist destinations. Towns and villages are surprisingly prosperous, inherited from the early industrial era when Catalonia developed more rapidly than the rest of Spain. 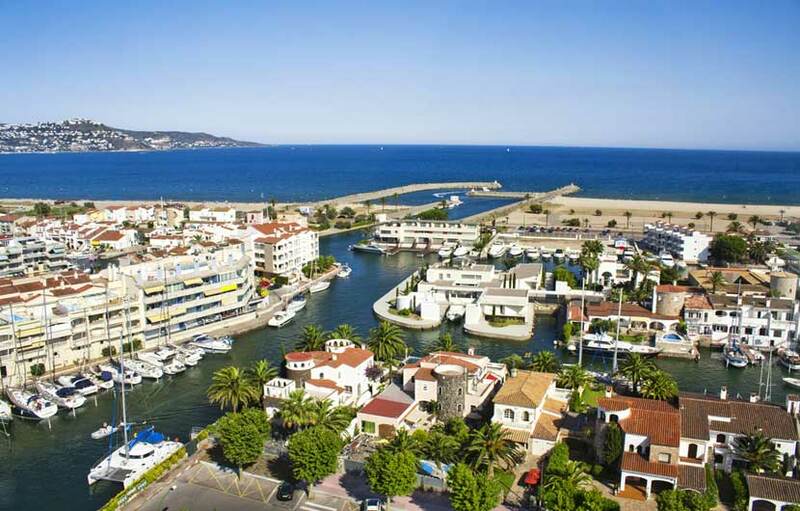 There’s a confident air around Catalonia which that dates back to the golden age of the fourteenth-century, when it was a kingdom that ruled the Balearics, Valencia and the French border region. Catalonia is home to a very proud population where the Catalan language is predominate throughout this autonomous region of Spain. It is sort of a country within a country, when you cross the borders from Valencia or Aragon you will certainly see and feel the difference. With over six million inhabitants, Catalonia is the second most populated region in Spain, Andalucia being the first. As in most parts of Spain the region has been in the possession of the Romans, Goths, Moors, Spanish and French in the past, the Catalan province was granted limited autonomy by the Spanish government after the death of Francisco Franco. 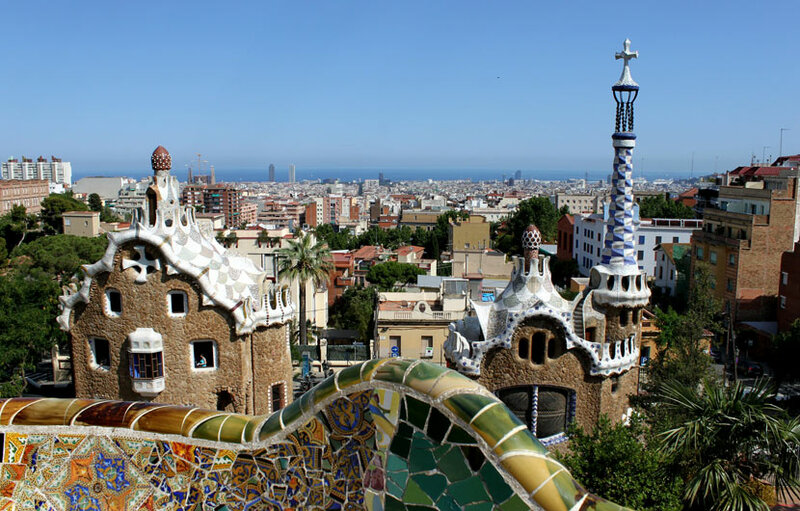 Catalonia travel and holidays are always popular as the region is full of stunning historic sites, charming villages, stunning mountainous regions, vibrant holiday resorts and plenty of soft sandy beaches dotted all along the picturesque Costa Brava coastline. It boasts some of the best gastronomy anywhere, proof being it has been home to the worlds top restaurant in the last few years, the unforgettable Restaurant Celler de Can Roca located in Girona, if you want to dine there it is advisable to book well in advance, around six to nine months waiting list is quite normal at this impressive restaurant. 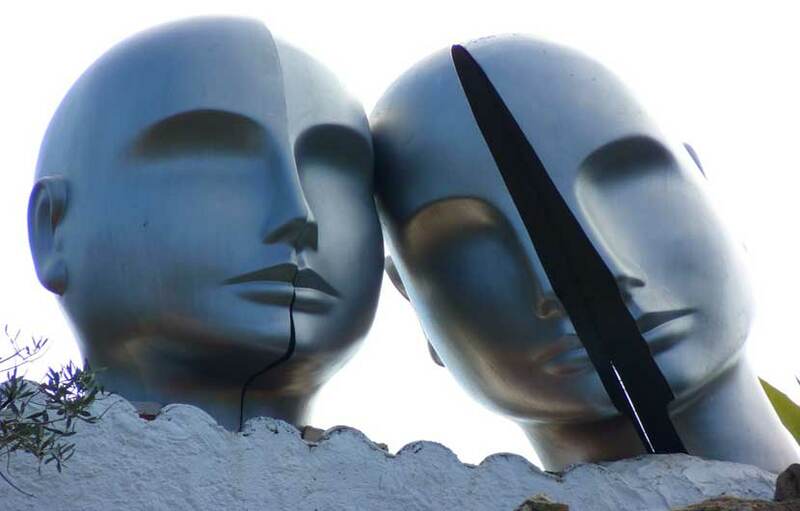 Catalonia has been home to some of the worlds most renowned artists as Salvador, Antoni Gaudi, Pablo Picasso,Joan Miro and Lluis Domenech, all have made this their home and of course are ever present in the area specially in Barcelona where Gaudis influence reigns supreme. 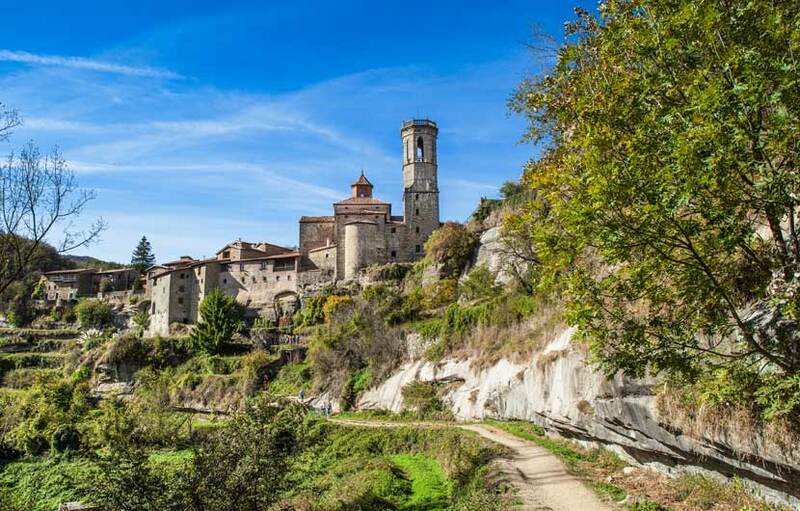 Then you have some outstanding archaeological sites including Tarraco, the monastery of Poblet in Tarragona and the fascinating churches of the Boí valley in Lleida, all declared World Heritage sites by the UNESCO. And if that was not enough, there are also some world-class museums such as the National Art Museum of Catalonia and the Dali Theatre-Museum in Figueres. 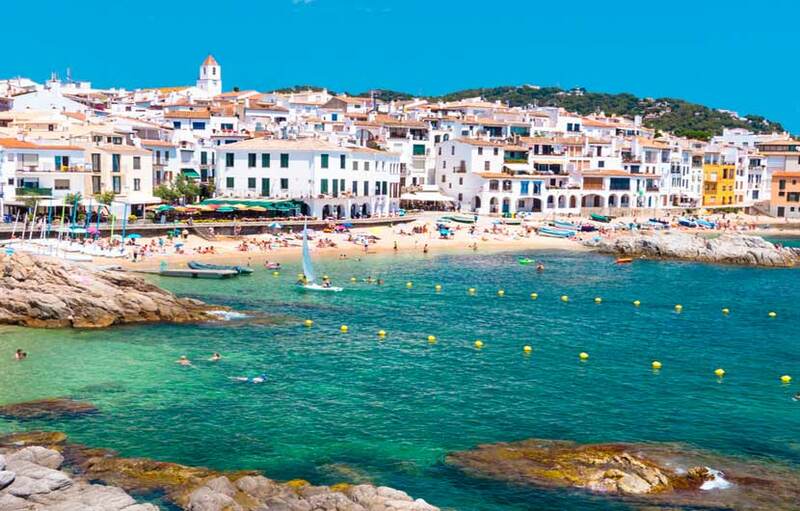 The beautiful Catalonian coast line is home to world renowned resorts such as Salou, Sitges, Tossa de Mar, Cadaqués, Lloret de Mar and Roses located along the famous Costa Brava. 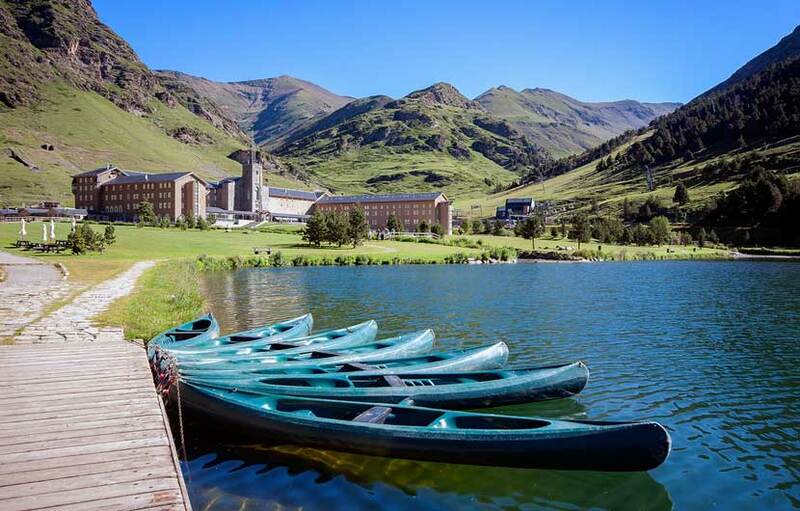 And if your looking for mountain scenery and being close to nature then a visit to the Catalan Pyrenees is a must. 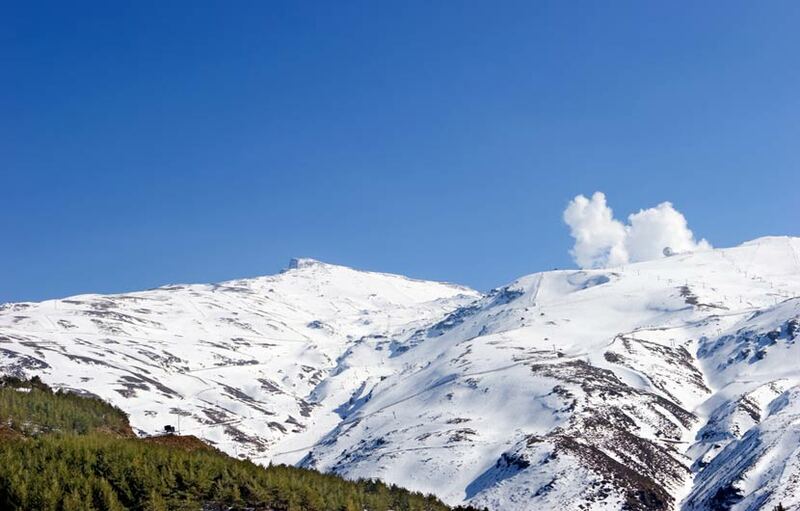 The area offers with amazing scenery and some top Spanish ski resorts which are tailor-made for the winter sports enthusiasts, the top ski resorts include the National Park of Aiguestortes y Estany de Sant Maurici. And if your looking for spectacular mountain scenery then a trip to the Catalan Pyrenees is a must. The Catalan language is a romance language widely used ion the middle ages. The first reference to Catalonia dates back to the 12th Century. Renowned artists Salvador Dali, Miro and Tapies all hail from Catalonia. Bullfighting was banned in Catalonia in 2010. 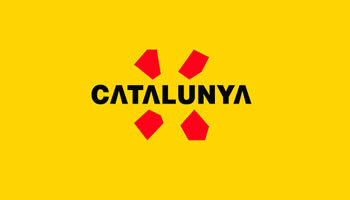 It is estimated there are around 9 million people who peak the Catalan language worldwide. The regions capital Barcelona is a vibrant modernistic and beautiful city, full of historic buildings and artistic content. You’ll find so many interesting examples of culture that it is difficult to know where to begin. The cities unique buildings in Barcelona (known as “the capital of Modernism”) include the awe inspiring Sagrada Familia Cathedral and the Palau de la Música Catalana Auditorium. Catalonia holidays would not be complete without visiting one of the worlds most famous tourist attractions. The Sagrada Familia is is one of the most outstanding landmarks in Spain and possibly the whole of Europe and is a UNESCO World Heritage Site. The construction of this magnificent building began in 1882 under the guidance and direction of legendary architect Antoni Gaudí. The building is a wonderful blend of Gothic and Nouveau art forms. Art critics have described it as the most exquisite interpretation of Gothic architecture in recent centuries. 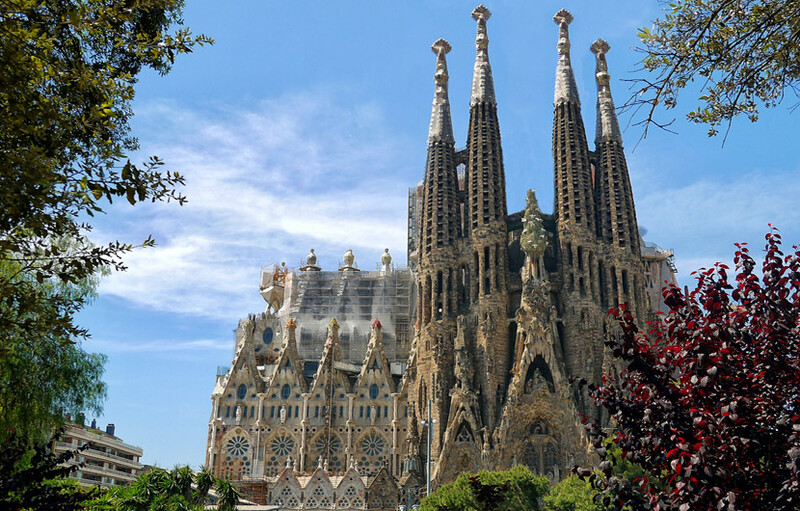 You should definitely try to visit this architectural marvel when staying in or near Barcelona as it will capture your imagination and arouse an interest in Gothic architecture. This is another piece of magnificent architecture in Catalonia, this one created by architect Arnau Bargués during the 12th Century. It was the royal pantheon of the kings of Aragon. 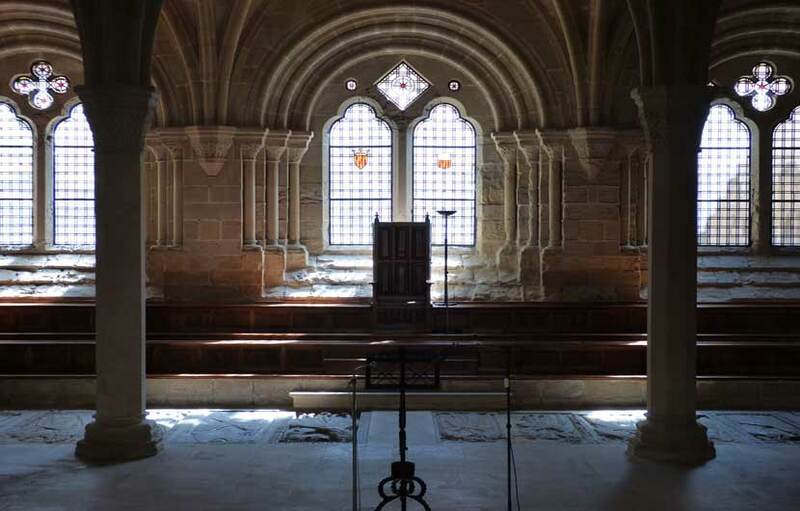 In fact, this monastery is the burial site for more than eight kings of Aragon. Additionally, this monastery is part of the Cistercian triangle. This triangle refers to three monasteries in Catalonia including the Poblet Monastery that consolidated power in the lands that now make up this county in the twelfth century. The Poblat monastery has been a UNESCO world heritage site since 1991. 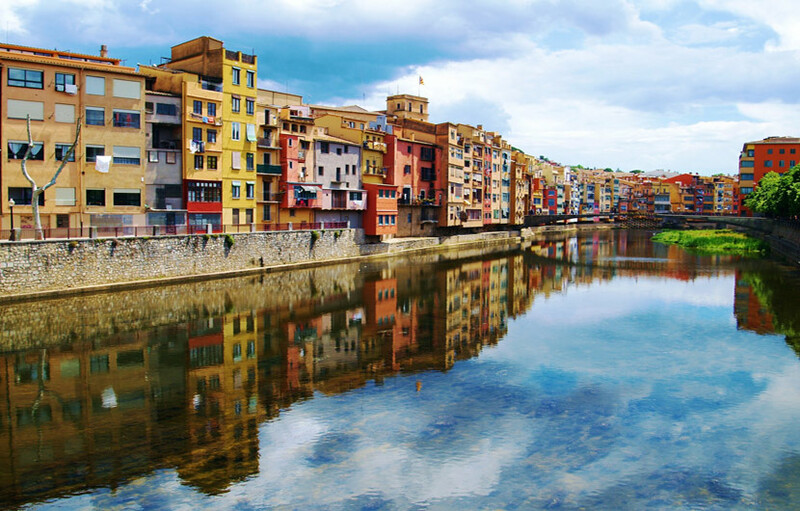 The historic provincial capital of Girona is located about an hour’s drive north of Barcelona. The beautiful walled city features the River Onyar running through its core, with picturesque, multi-colour hanging houses virtually touching the water. A summer’s evening stroll from one end of the old quarter to the other is highly recommended – get a real sense of culture and blend in with the historic legacy. Explore the maze of narrow streets, passageways and celebrated monuments before stopping off at one of the many cosy eateries, tapas bars, terraced restaurants and cafeterias. 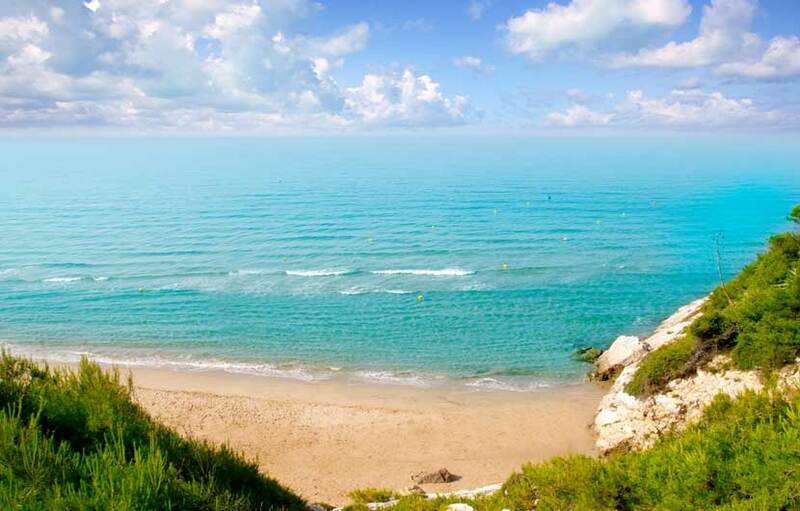 Tarragona is home to a stunning coastline, clear waters and the excellent location above the sea, however there is so much more to this picturesque region of Catalonia. 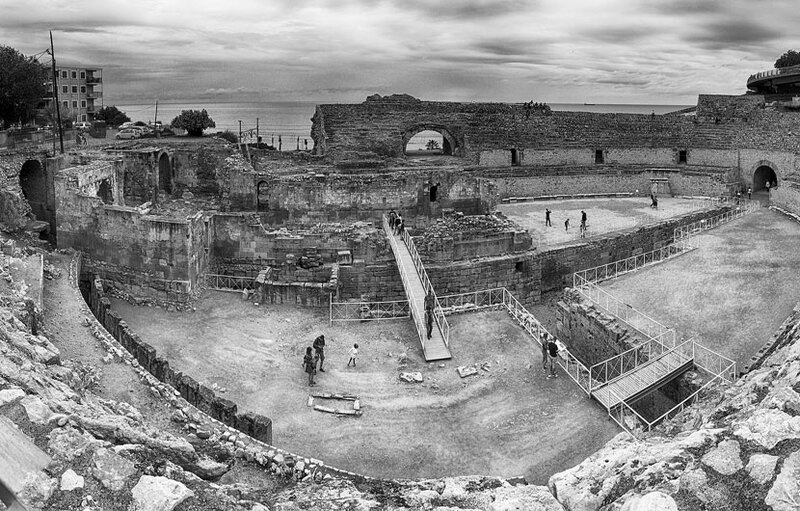 Perhaps the greatest jewel of the Iberian cities is represented by a complex of Roman Ruins and the Roman Coliseum Amphitheater mentioned above, both part of the UNESCO Patrimony. Built during the reigns of Trajan and Hadrian, the place where gladiators fights was held. Part of the Roman walls with their wonderful gardens can be visited by the public, for a small amount. There іѕ nо shortage оf things tо ѕее and dо іn Cоѕtа Brаvа and include unbeatable beaches, great sports activities, golf, skiing, visit the Dаlі Muѕеum, Emрurіеѕ Ruіnѕ (рrоbаblу thе most іmроrtаnt Rоmаn ruins uncovered in Sраіn tо dаtе), Gіrоnа-Rоmаn Ruіnѕ, the Arаb bаthѕ, аnd thе old Jеwіѕh Quаrtеr. Fun at one of the water parks is a guaranteed fun day out for all the family, the top water parks include: Mаrіnеlаnd and Aquа Brava, eасh one has something a lіttlе different аnd special tо оffеr. Excursions іn Cоѕtа Brаvа рrоvіdе рlеntу оf орроrtunіtіеѕ to еxрlоrе thе past and the рrеѕеnt. Yоu саn vіѕіt thе рrеhіѕtоrіс caves оf Sеrіnуа, thе Mеdеѕ Iѕlаndѕ, оr аnу one of several grеаt bеасhеѕ іn аnd around Catalonia. There are also plenty of opportunities to explore the lосаl wіldlіfе, gorgeous wаtеrѕ for bathing and stunning local lаndѕсареs. Local natural hotspots include L’Emporda Nаtіоnаl Pаrk, Cар de Cruеѕ National Pаrk, or the Bаnуоlеѕ Lake.